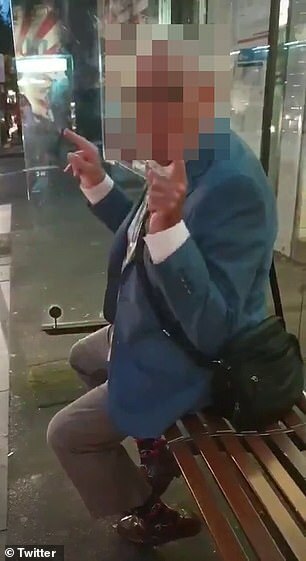 A middle-aged businessman has been filmed going on a racist rant after taking issue with an Asian cyclist riding on the footpath near a bus stop in Sydney's Surry Hills. Moments after the incident she is heard confronting him about his language. 'Did you have to yell at him like that? 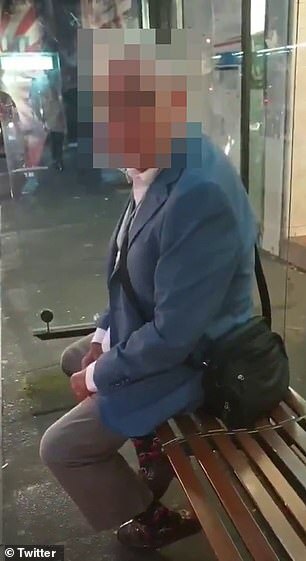 You didn't have to call him an Asian like that,' she says.